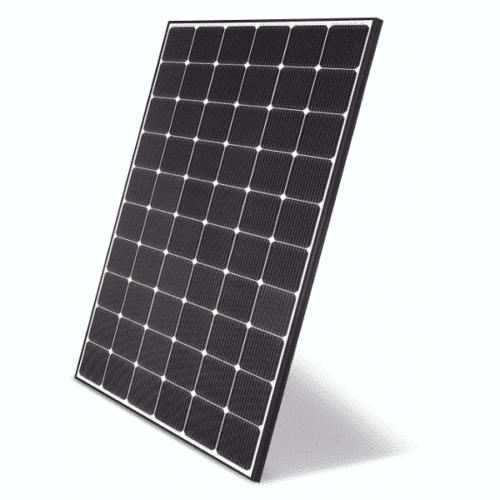 The LG Solar NeON 2 LG345N1C 345W Solar Panel V5 has an enhanced performance warranty. The annual degradation has fallen from -0.6/yr to -0.55/yr. Even after 25 years, the cell guarantees 1.2p more output than the previous LG NeON® 2 modules. The high Efficiency LG NeON® 2 Module Cells: 6 x 10 has a module efficiency of 19.6%; connector type: MC4. 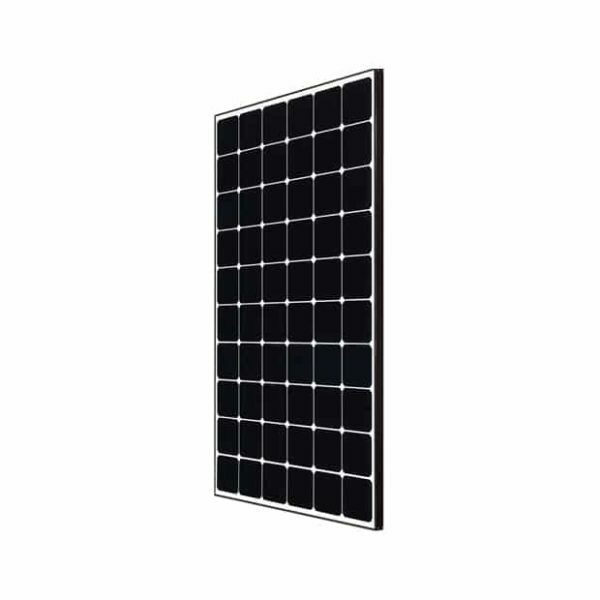 LG Solar NeON 2 LG345N1C 345W Solar Panel V5 has been designed with aesthetics in mind; thinner wires that appear all black at a distance. The product may help increase the value of a property with its modern design. With its newly reinforced frame design, LG has extended the warranty of the LG NeON® 2 for an additional 2 years. Additionally, LG NeON® 2 can endure a front load up to 6000 Pa, and a rear load up to 5400 Pa.
LG Electronics Inc. is a global leader and technology innovator in consumer electronics, mobile communications and home appliances. LG employs more than 82,000 people working in 119 operations, including 103 subsidiaries around the world, with global sales of $53.10 billion in 2013. Join our ZERO Home Bills Community. The BEST Solar Panels from the BEST Solar Energy Brands at BEST Prices for ZERO Home Bills on ZEROhomebills.com by Solaranna. LG Electronics Inc. is a global leader and technology innovator in consumer electronics, mobile communications and home appliances. LG employs more than 82,000 people working in 119 operations, including 103 subsidiaries around the world, with global sales of $53.10 billion in 2013. LG consists of four business units – Home Entertainment, Mobile Communications, Home Appliance, Air Conditioning and Energy Solutions. The world needs renewable energy today. To meet the future head on, LG Electronics has made significant inroads in environmentally sound solutions for a healthier and safer planet with its advances in Solar Energy. In 2008, the company proclaimed its charter, ‘Life’s good when it’s green’. LG plans to reduce greenhouse gases in product usage by 30 million tons yearly, and by 150,000 tons by the year 2020. We have eliminated the use of harmful substances in our manufacturing processes and our efforts have been recognized by TÜV Rheinland of Europe and UL of US. LG’s solar power business was also launched on the basis of the environment-aware leadership of LG Electronics in the same direction. Discover a generation of solar modules that sets new standards: MonoX® NeON from LG. With its improved power output per m², lower system costs and higher energy yield, the n-type silicon-based MonoX® NeON modules with up to 375Wp are more profitable. Join our ZEROhomebills Community. The BEST Products from the BEST Brands at BEST Prices for ZERO Home Bills on ZEROhomebills.com by Solaranna.